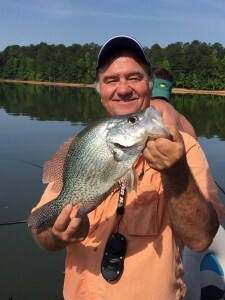 December 19, 2015 Wintertime crappie are biting now!!! Outdoors with Joey Mines will bring exciting outdoor adventures right into your living room. Join host Joey Mines each week on fun and informative journeys throughout North and Central America. You will learn valuable tips and techniques which include: basic & advanced fishing , hunting , dog training, and family adventures. 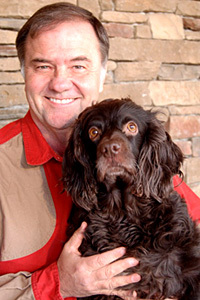 On each show and in his videos, Joey shares over 35 years of professional hunting & fishing experiences with many of the top Pros in the outdoor industry. Joey runs a professional fishing guide service on West Point Lake, GA .
Outdoors with Joey Mines will be nationwide on The Walk TV . The show will air Saturday’s @ 10 AM . Joey Mines and his dog, Lady "Bug"
This is a crappie fishing show on West Point Lake . Book your trip now. Click on Picture to watch this weeks video.